Gibbs & Cox designs are producible, capable, and competitive for construction at U.S. Shipyards. 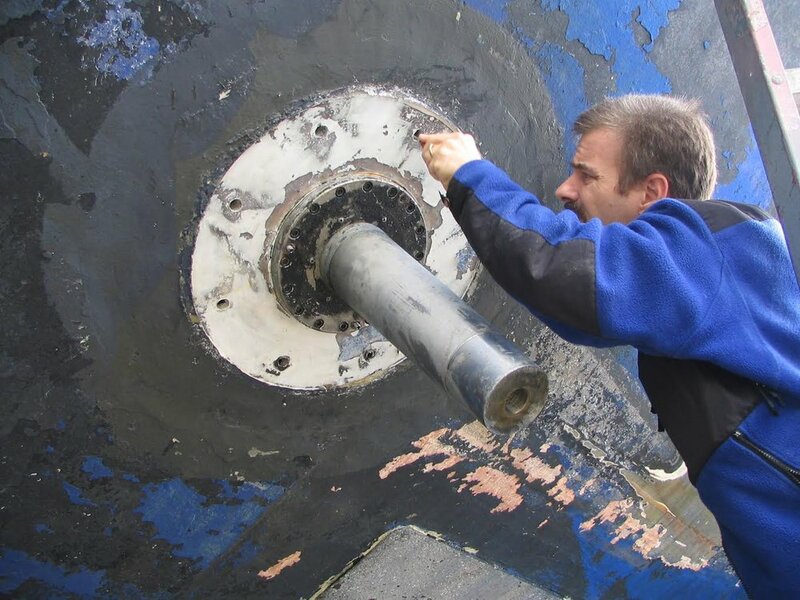 Our services include work product that is tailored to the specific needs, standards, and capabilities of the shipyard facility and personnel performing the work. Further, Gibbs & Cox is able to provide personnel to be on-site, either full-time or part-time, during the fabrication and construction of our designs. This liaison staff is able to quickly answer questions and resolve problems from the production floor, while reaching back to our home offices for additional design and engineering support as needed. The size of the talent pool and diversity of skillsets maintained by the entire Gibbs & Cox staff allows personnel to be placed on-site, all over the world, either on a full-time or part-time basis, as necessary to support our projects. With offices up and down the East Coast of the United States, on the Gulf of Mexico, and even now with a new location in Australia, G&C prides itself on having the resources available and in-place to provide production assistance to builders, immediately answering questions and assisting with production on the shop floor, acting as liaison between the builders and product vendors, and reaching back to staff at G&C home offices to provide additional design and engineering support necessary. re-arrangement of a vessel's build-schedule to work within a logistical confines as defined by a shipyards workflow. Over the course of Gibbs & Cox's nine-decade history, the firm has established strong working relationships with classification societies all over the world. Familiarity with the rules and staff structure of class societies, and knowing the most efficient channel to travel in order to run down a solution streamlines the process of attaining class approval. Our engineers regularly work with classification society representatives to discuss the interpretation of rule sets, or to allow a project to be granted special exceptions to specialized applications based on the development of a preferable solution to a particular engineering problem. Though a design may be completely buttoned-up on paper and in the computer prior to the keel being laid, design changes inevitably happen on the shop floor. Whether caused by an owner's decision, the discontinuity of a product, or the recent availability of a superior component, these design modifications can result in interferences, either immediately adjacent to the local modification, or far downstream in an unexpected feature or system. In any event, because G&C maintains comprehensive project models and records, we are able to adapt the project to proposed changes and solve associated interference problems, minimizing the impact to the overall project workflow and schedule. Gibbs & Cox uses the ShipConstructor suite of design software to develop and manage hull, deck, and superstructures for metal vessels. Whether designing in Steel, Aluminum, or even exotic metals like Titanium, our parametric processes of designing hull forms and structures allows master project files to build and manage databases of parts that update and track changes in real time, adjusting part geometries, numbers, assemblies, and even bills-of-material to make book-keeping and fabrication of components simple and streamlined. Our in-house composites experts have extensive experience designing and optimizing arrangements and scantlings based on the characteristics and properties of fiberglass, kevlar, and carbon fiber. Further, when our composites experts team up with our metal-construction specialists, Gibbs & Cox is able to develop safe, robust, and efficient designs that rely on the interaction between metal parts and composite parts, such as the mating of an aluminum deck and superstructure with a composite hull. ShipConstructor software is use to design and manage jig sets for construction of cold-molded hulls, decks, and superstructures, outputting CNC cut files that builders can use to turn stacks of plywood into temporary molds. Like all of our other shipyard-support products, these production packages are tailored to meet the specific builder's needs in terms of production methods and materials, and with regard to the level of detail included in the jigs.